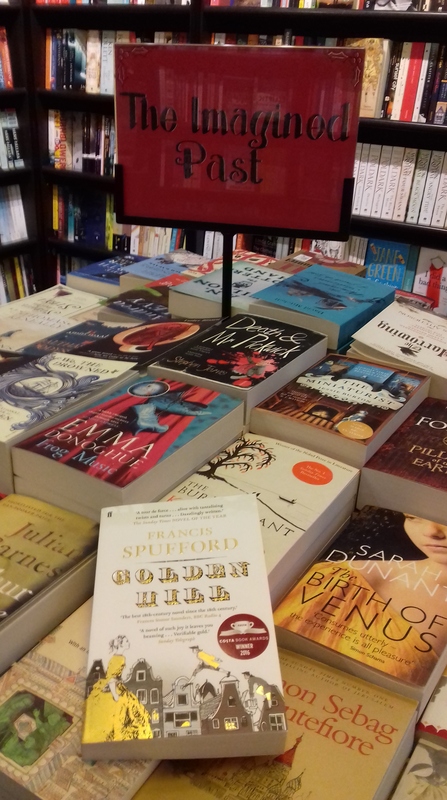 On one of my frequent trawls through the treasures in our local Waterstones I noticed that the wonderful Golden Hill by Francis Spufford is out in paperback. For anyone who enjoys a classy historical novel, this would make a perfect Christmas gift. With apologies for repeating myself, here, again, are my thoughts on this outstanding book. I’m still waiting for him to write a sequel, or Hollywood to come up with the film. It’s a cracking tale. An impatient, personable young man from London has himself rowed from the brig Henrietta to the New York shore of 1746, carrying a bill of exchange in his pocket. It’s for the vast amount of one thousand pounds – and must be honoured within sixty days by trader Master Lovell, who owes this sum to the London company who issued the bill. Deeply suspicious of this ‘strip of a boy who comes demanding payment of an awk’ard-sized fortune, on no surety‘ – and with London a six-week sail across the ocean, meaning a fraud couldn’t be uncovered before the money falls due – Lovell and his fellow merchants have a decision to take which could ruin them. Is the mysterious Richard Smith genuine? A bold-faced crook? Up to devious political mischief? Or attempting something much darker? For everyone agrees he’s up to something. He openly admits to it. Yet despite hints and red herrings, nothing will get the truth out of him – not offers of violence, rooftop chases, a duel, a branding, nor the threat of the hangman’s noose. Smith keeps his surprising secret to the final page. 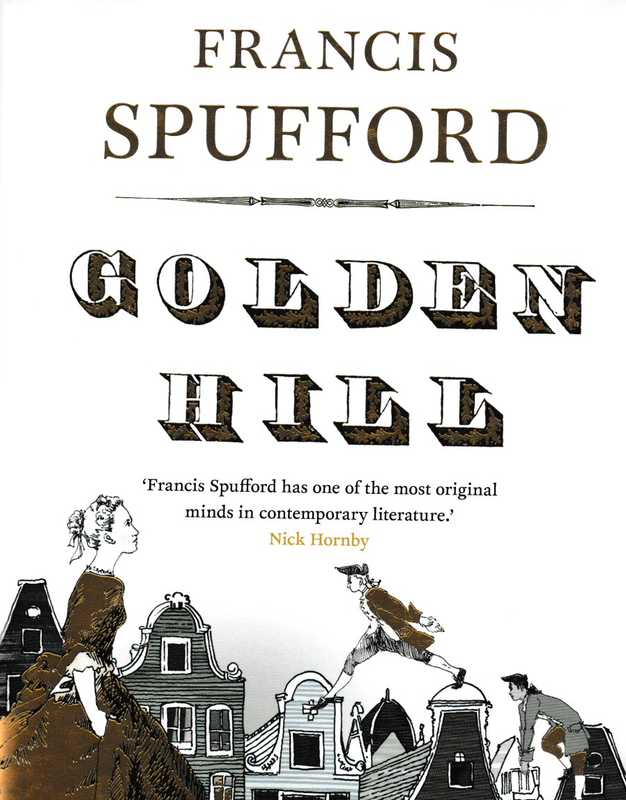 Francis Spufford’s novel is a fine plum pudding of a book, rich with spice and full of silver-sixpence-like surprises. I gobbled it up, swallowing (along with envy of an author who can create such a clever game of pass-the-parcel) layer-upon-layer of story from which the reader must tease out clues to the secret at its core. The language is gloriously dense in places. But if it is occasionally purple, it’s the colour of a Georgian brocade waistcoat, the texture of the cloth opulent under one’s exploring fingers, yet not necessarily giving helpful information about the wearer’s identity. This is arguably necessary, since modern language would struggle to convey the landscape of a city where church spires look down on a display of trophy human scalps; where the reality of a duel of honour is a blundering struggle through deep snow, with spurting blood and unexpected consequences; where one of the great cities of the world is in the bold process of creating itself. Then there are Spufford’s wonderful characters: the feline Tabitha, who hates novels yet quotes Shakespeare; the voluptuous Mrs Tomlinson, who makes Smith a saucy but generous offer he cannot, for politeness, refuse; the intriguingly erudite Achilles, ‘a tall African of about Smith’s age, wearing livery, with long limbs and a tight knob of a head like the bole of a dark tree‘ who has a complex and surprising relationship with Septimus Oakeshott, the Governor’s young aide. My heart still breaks over Septimus. Historical novels don’t have to be bodice-rippers. They can be Wolf Hall. They can be The Miniaturist. They can be Golden Hill. Those of us trying to write about the distant past can only see such mastery, and gnash our teeth with envy. 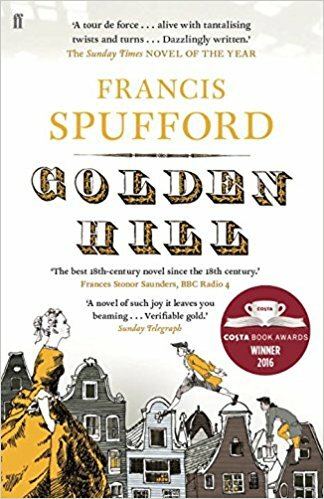 Having enjoyed Francis Spufford’s Golden Hill, Ed wondered in his 8th November post how much research a historical novelist needs, and whether they should strive to use exact language and idiom. Or just wing it. When I began my current book, set in C18 London, I spent long hours studying contemporary novelists, together with the entertaining and informative Diaries of Parson James Woodforde. I subsequently foreswore contractions, larded my first draft with the phrases and expressions of the time, and made my humble characters respectful and the educated ones God-fearing, with behaviour that was (outwardly, at least) formal. Jane Austen‘s fiction, after all, portrays an era when men and women would agree to marry before they were even on first name terms. However, although what I’d written was comprehensible, it reminded me of having to listen to Chaucer being read out at school. It wasn’t remotely like the page-turning spiral of darker and darker mysteries that I wanted to unleash on unsuspecting agents. I set my sights lower. After all, however much research you do, some clever clogs will spot errors. In the entertaining Upstart Crow, Shakespeare‘s dad complained that the pastry of his pie was hard and inedible. 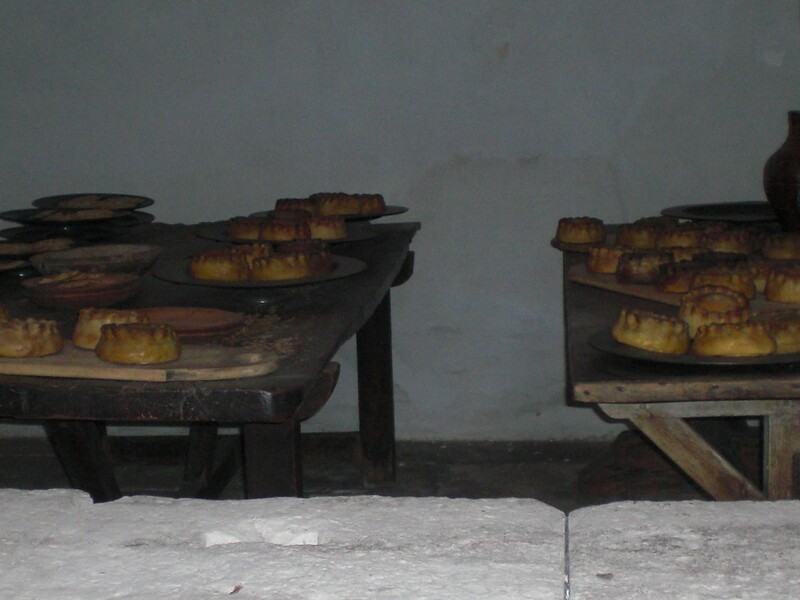 When visiting the kitchens of Hampton Court recently, I was told the delicious-looking pies on display weren’t what they seemed. They were flour and water shells, designed to cook and tenderise meat. After being broken open, they were thrown away. Did Ben Elton realise this? Does it matter? I suspicion (thought I’d throw in some archaic language) that the destitute of the day would have been glad to gnaw on them. After all, didn’t Sir John Franklin eat his own boots when starving in the Arctic in the C19? As my husband reminds me, a historical novel is a work of fiction. I clearly shouldn’t have suffragettes throwing themselves in front of George III’s coach, or adventurers sailing to New York in a week. But, as long as the things I write could possibly have happened, my fingers are crossed. Sufficient facts important to my plot are true. I have British Library references to prove it. Top flight historical novelists like Hilary Mantel do, of course, adopt a scholarly approach, but lesser mortals like myself can hopefully settle for something more modest. Historical novels – how much research? Historical novels – how much research should you do, what lengths should you go to to get the details and the whole feel right? 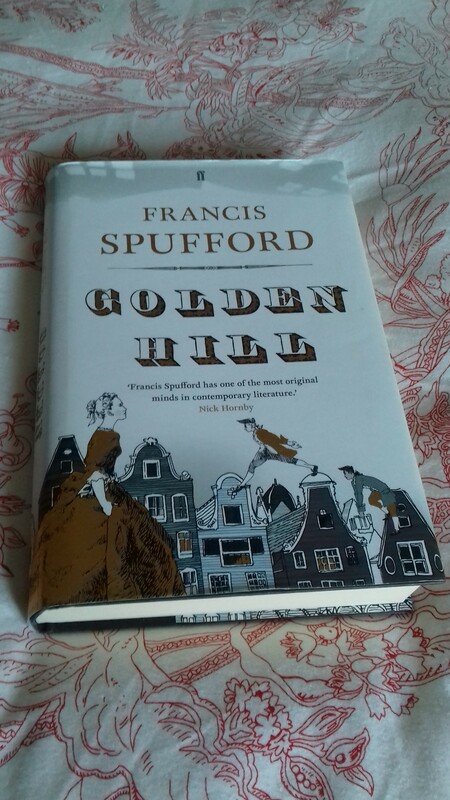 I’ve been pondering this as I’ve just read Golden Hill by Francis Spufford, who manages to create what seemed an authentic picture of New York in 1746. How authentic it in fact is I can’t verify, short of doing the research myself. But it certainly worked for me: we learned about the city’s dimensions, architecture, weather, race relations, commerce, justice system, politics, religious observance, card games, Bonfire Night customs, and even its smells. I believed it. To find all that out must have taken a very long time. But when to stop? Do you draw a line somewhere, and avoid venturing into unknown detail, or do you draw that line and just wing it, hoping that few of your readers will notice any errors in the areas you didn’t delve into? Can you get away with finding out what people ate and wore in your chosen period, and maybe what their houses looked like, and assume that that will so impress your average reader that they believe the rest? One of the ninevoices has produced a novel set in C18 London. I know she’s done much research, and the detail seems convincing. If the rest of us think we’ve spotted an anachronism we’ve said so, but usually we’re wrong. I once thought of stepping into these deep waters myself when I started a story set in Bohemia during the Thirty Years War in the C17. It didn’t get beyond the first chapter because my creative writing tutor told me it had too much exposition, too much scene-setting. She was probably right, but I started writing something else instead. Immersing yourself in the literature of the time (more research – when are you actually going to get started?) and trying to replicate at least some of its rhythms and vocabulary? Are there rights and wrongs in this field? Advice please. An impatient, personable young man from London has himself rowed from the brig Henrietta to the New York shore of 1746 with a bill of exchange in his pocket. It’s for the huge amount of one thousand pounds – and must be honoured within sixty days by trader Master Lovell, who owes this sum to the London company who issued the bill. Deeply suspicious of this ‘strip of a boy who comes demanding payment of an awk’ard-sized fortune, on no surety‘ – and with London a six-week sail across the ocean, meaning a fraud couldn’t be uncovered before the money falls due – Lovell and his fellow merchants have a make-or-break decision to take. Is the mysterious Richard Smith genuine? A bold-faced crook? Up to political mischief? Or attempting something much darker? For he’s up to something, everyone agrees. He openly admits to it. Yet despite hints and red herrings nothing will prise the exact truth out of him – not offers of violence, rooftop chases, a duel, a branding, nor the threat of the hangman’s noose. Smith keeps his secret until the final page. Francis Spufford’s novel is a fine plum pudding of a book, rich with spice and full of silver-sixpence-like surprises. I gobbled it up, swallowing it down (along with envy of an author who can create such a clever game of pass-the-parcel) layer upon layer of story from which the reader must tease-out clues and try to get a feel for the secret lying at its core. The language is gloriously dense in places. But if it is occasionally purple it is the colour of a Georgian brocade waistcoat, the texture of the cloth opulent under one’s exploring fingers, yet not necessarily giving an accurate clue to the wearer’s true identity. 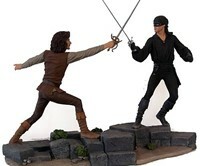 This is arguably necessary, since modern language would struggle to convey the landscape of a city where church spires look down on a display of trophy human scalps; where the reality of a duel is a blundering struggle through deep snow, with spurting blood and unexpected consequences; where one of the great cities of the world is in the bold process of creating itself. Then there are Spufford’s wonderful characters: the feline Tabitha, who hates novels yet quotes Shakespeare; the voluptuous Mrs Tomlinson, who makes Smith a generous offer he cannot, for politeness, refuse; the intriguing Achilles, ‘a tall African of about Smith’s age, wearing livery, with long limbs and a tight knob of a head like the bole of a dark tree’ who has, for a slave, a complex relationship with Septimus Oakeshott, the Governor’s young aide. My heart still breaks over Septimus. Historical novels don’t all have to be bodice-rippers. They can be Wolf Hall. They can be Golden Hill. I was going insane trying to work out what was at the bottom of it all – now I’m mad to find out whether there might possibly be a sequel.